Everyday Nature: Sustainable High-Tech Farms? The word "sustainability" is very loosely used nowadays. As I am a passionate food grower, I tend to be very sensitive when I hear a farm claim that it is a sustainable farm. 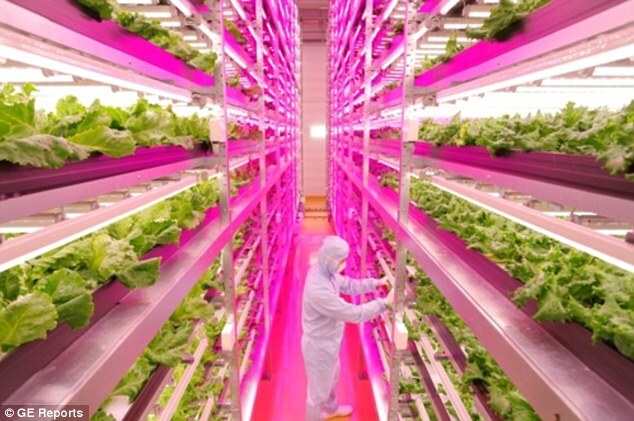 Many high-tech farms claim that their farming methods are sustainable. These include those indoor farms in which the environmental factors are artificial and smartly controlled (LED, air-conditioning, etc.). To support their claim, they usually point out that they can produce higher yield and yet use less water, less land area, little or no pesticides, etc. We need to have a diversity of crops, weeds, and wildlife in the farm. When you have biodiversity in your farm, you are actually managing pests. You don't need to spray poison. When you have biodiversity, you are recycling nutrients, and the soil is getting all the fertility it needs, without us having to apply fertilizers. You can get rid of the herbicides, the pesticides, the fertilizers through intensifying biodiversity. We need to be giving back to Nature, giving back to soil. While we are growing food for human consumption, we must, at the same time, be feeding the living soil too. Hence farm wastes must be returned to soil as much as possible, through mulching and/or composting. We must assist Nature in recycling nutrients and materials. So, for a farm to be truly sustainable, it has be be regenerative through observing these two Nature's principles of permanence. Those high-tech farms, which shut Nature out, cannot be truly sustainable. Never thought technology could go so far. Even the farms are now high tech and this is all just unbelievable. In order to maintain sustainability it is important to maintain a balance between nature and technology.